Mohammad Hafezi has accepted a position as a JQI Fellow and Assistant Professor in UMD's Electrical and Computer Engineering Department. He started at JQI in 2009 in Jake Taylor's group as a postdoc and was promoted to senior research associate in 2012. He works at the interface of condensed matter theory and quantum optics. 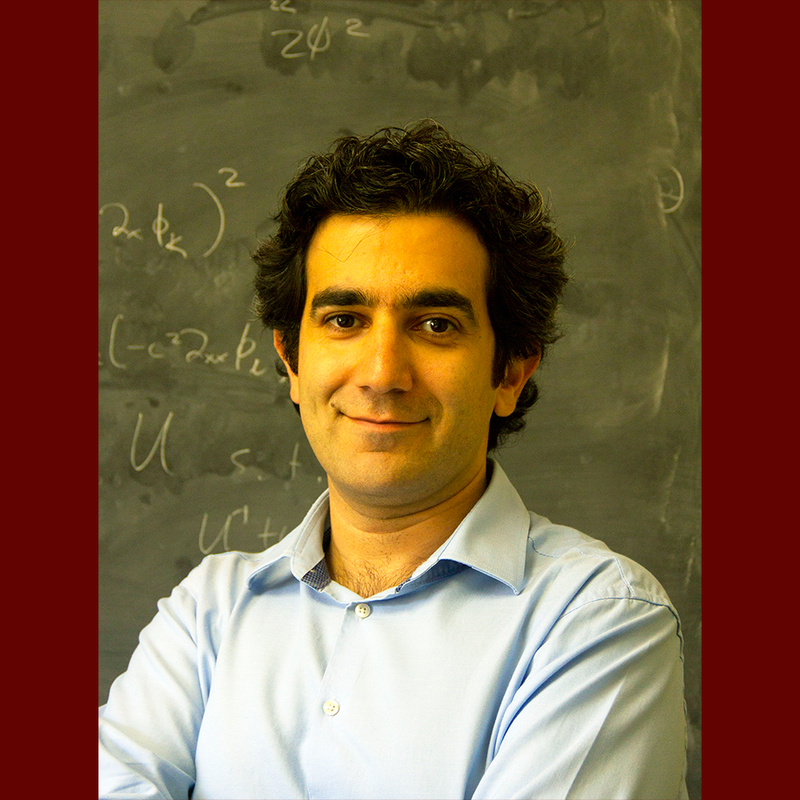 The focus of his research is on theoretical and experimental investigations of artificial gauge fields and topological order in photonics systems. Such systems can be exploited as robust optical devices insensitive to disorder. Moreover, in the presence of strong optical nonlinearity, such systems are expected to exhibit fractional quantum Hall physics, providing a platform for potentially observing anoynic statistics. He received his Ph.D. from Harvard in 2009 where he worked with Mikhail Lukin and Eugene Demler. There, he studied strongly correlated physics in AMO systems. In particular, he worked on the topological characterization of ultracold atoms in 2D and also non-equilibrium dynamics of strongly interacting photons in 1D.